A film director uses a unique way to keep up the traditions of the ethnic Mongolian way of life. June is a special month for Chinese film director Uragshaa (Wuershan) because he celebrates four birthdays, for his father, his two sons and himself. So, Uragshaa decided to mark birthdays differently. Instead of spending money on food and drinks, he has started a project called Nomad Relays along with musician Ilchi, anthropologist Uradyn E. Bulag and contemporary artist Chyanga. The nonprofit project features academic lectures, film screenings, art exhibitions and live music performances to present the charms of nomadic culture, exploring its contemporary significance and reflecting on its future. The project took off on June 30 at Chaoyang Park in Beijing. And the park site, named Mongol Camp, had dozens of Mongolian-style tents. 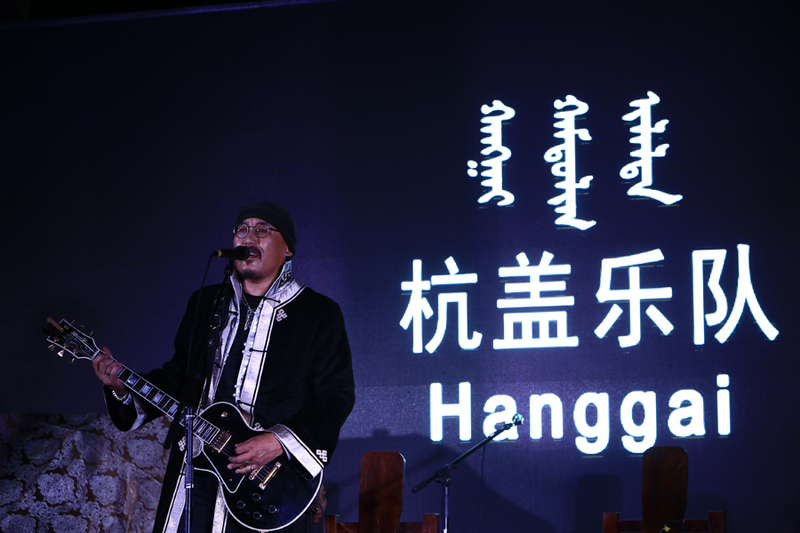 During the one-day event, about 300 people attended a lecture titled Nomadism as Method by Bulag, watched a documentary, titled Shaman's Ladder directed by filmmaker Agtachin Zorigt, and viewed a contemporary art work, titled All Thing, by artist Chyanga, besides enjoying music performances by bands including Tuvan group Huun-Huur-Tu, Beijing-based Hanggai and Mongolism. "Urbanization has changed the way Mongolian people live. Nomadic herding is disappearing. So, given the circumstances, what is nomadic culture now?" says Uragshaa, who was born in Hohhot, the capital of the Inner Mongolia autonomous region, to ethnic Mongolian parents. "With this project, we want to combine different art forms, and provide the audience with information and perspectives on nomadic culture. It's also a chance for me to observe, reflect and learn about my roots."